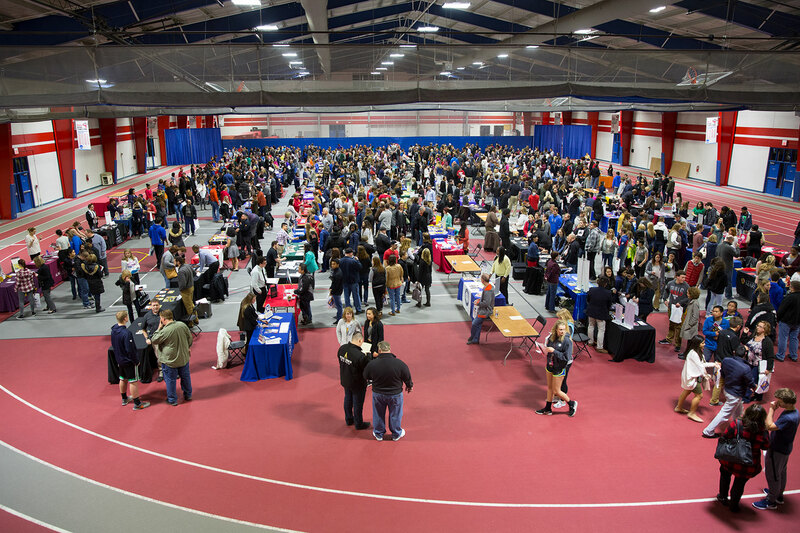 At the Lewis University Illinois Regional College Fair last night, hundreds of students from 46 different high schools registered for a StriveScan barcode and were scanning with the colleges in attendance. Counselors at many of the participating high schools sent emails and informed their students how to register in advance. Student workers from Lewis, posted at the entrance, were key to ensuring students had barcodes. High school students who had not pre-registered were provided a quarter-sheet handout with instructions to go www.strivefair.com to sign up. Thank to you the Lewis University Admissions Office! Thank you to Sean Whitten, Fair Coordinator, and all of the staff at Lewis University’s Admissions Office for their help!